Size: approx. 6 mm. Photo: 05/17/16, 10 pm. 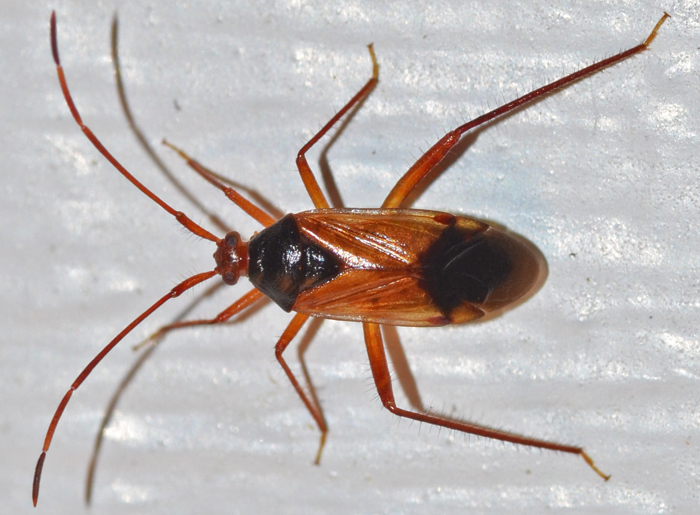 The species name E. pilipes derives itself from Latin "pili" (hair) and "pes" (foot) and refers to the long hairs on the bugs' legs (click on the image to see a larger version in which the hairs are more visible). They are found nearly exclusively in Florida.